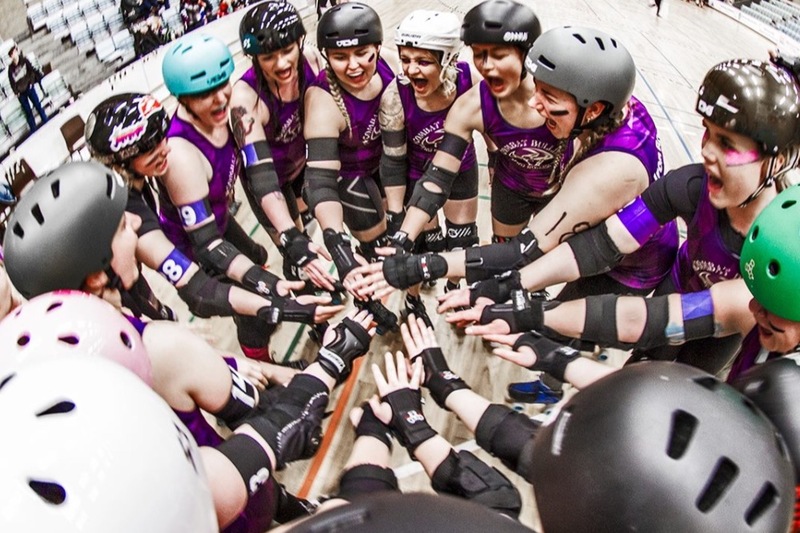 Aalborg Roller Derby skal til turnering i Nice - det bliver nice, men…. ....vi har brug for DIN hjælp! Vi er blevet inviteret til turnering i Nice den 9-10. Juni 2018, hvor vi skal spille mod hold fra Frankrig, Belgien, Sverige og Østrig! Dog har vi 1 lille udfordring og det er her vi har brug for dig! Der er så langt at gå til Sydfrankrig, så vi håber at vi gennem netværk og sociale medier kan samle penge nok til at kunne tage flyveren. 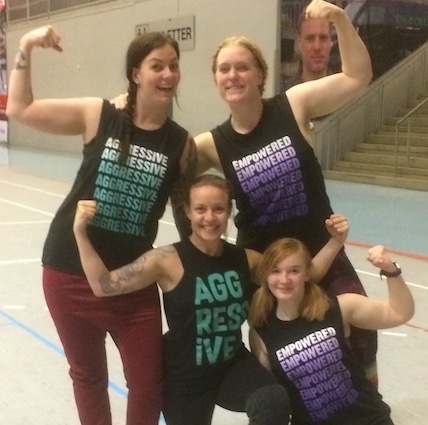 Aalborg Roller Derby is going to a tournament in Nice - it’s gonna be nice, but …... we need YOUR help! We have been so lucky to be invited to Nice June 9th-10th 2018, where we will face teams from France, Belgium, Sweden and Austria! However, we have a small challenge and this is where we need YOU! It is such a long hike to the south of France from Aalborg so we hope to raise enough money to go by plane. If you're a wonderful and kind person who just wants to give us a little bit of love, please support us with a "Vejgaard dollar" - it'll go a long way! your name gets tossed in the “hat” and we will randomly choose winners. For every time you donate 100 DKK your name will be put into the “hat”. We will give you (or your company) a facebook & Instagram thank you shoutout.